There's good news for prospective Nintendo Switch buyers who also game on their PC: the Switch's Pro controller, which is an optional $70 accessory, works natively with Windows PCs. 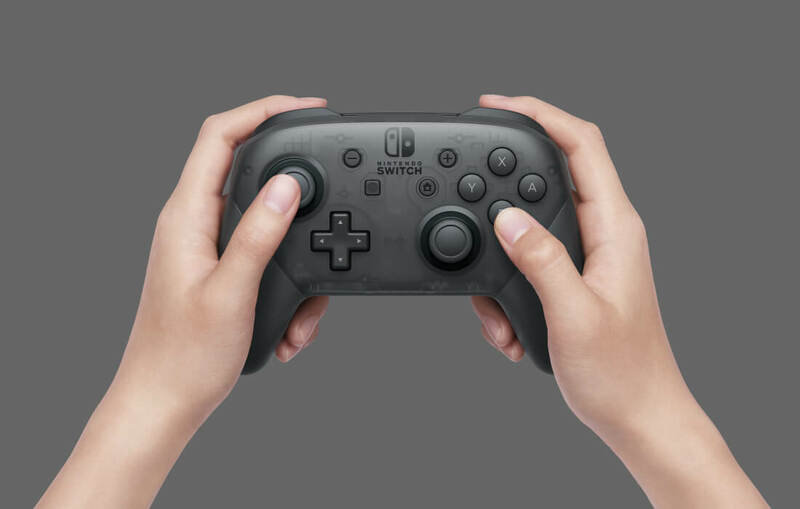 The Pro controller connects to your PC through a standard Bluetooth connection, and appears to communicate with games through DirectInput. Unfortunately, this means it doesn't properly work in games that only support the newer XInput API, but there are workarounds for using DirectInput controllers with XInput games. There are some downsides to using the Pro controller. It can't be charged and used at the same time, despite the fact it charges over a USB cable that can be easily attached during use. There are also no analog triggers on the controller, which doesn't make it the best option for those specifically buying a controller for playing PC games. However, those who have tried the Pro controller claim it is the best way to play games on the Switch when docked to a TV. It's more comfortable than the cramped Joy-Con, although unlike the Joy-Con, the Pro controller is not included with the Switch. When used with PC games, there is reportedly no lag or other connection issues.